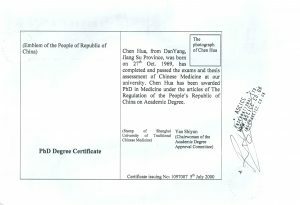 Doctor Helen Chen qualified as an Chinese Medicine Doctor at the Henan University of Chinese Medicine in 1993, this five years, full time BSc course included the study of Eastern and Western disciplines, including Anatomy, Physiology and Pathology. 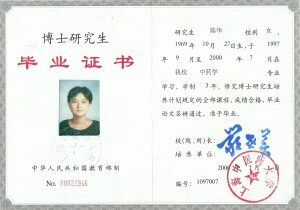 She worked in the hospital in Zhengzhou (China) as a registered doctor from 1993 to 1994. 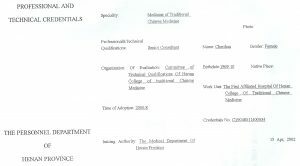 She began another three years full time clinical research in Henan University of Chinese Medicine from 1994 to 1997 on the subject of Chinese Medicine in the treatment of IBS, after this she received MSc academic degree, she went to Shanghai university of Chinese Medicine for three year full time clinical research work on Chinese Medicine in the cancer support treatment from 1997 to 2000, she received her PhD academic degree on Chinese Medicine. She worked in the First Affiliated hospitals of Henan University of TCM as a senior consultant from 2000 to 2003 in oncology and internal medicine. Increasing female and male fertility naturally through Chinese medicine. Supporting assisted conception (IVF/ICSI) with Chinese medicine. Using Chinese medicine to treat women during pregnancy, during labour and for post-natal care. Supportive treatment for people living with cancer, mental health problems.Pain management with acupuncture. Chinese medicine for skin conditions.